Answer our question before trying our diabetic soul food recipes. Are you currently living with diabetes? Do you have a family member suffering from diabetes? Have you been recently diagnosed with type 1 or 2 diabetes? If you answered yes to any of the questions above, you'll be surprised to know that you can find recipes for diabetic soul food here. Lately I've been very concerned about my health and the health of my family. Eating healthy has not always been a top priority for me, but NOW it is, due to the fact that I have a family history of diabetes. This deadly disease has already claimed two of my family members. You're probably searching for diabetic soul food recipes on the internet because you still want to be able to eat great tasting foods. And I'm sure you're well aware that proper exercise and diet are key to preventing or controlling diabetes. I can't help you with the exercise piece, but I can help you by providing recipes that are tasty and diabetic friendly. You've made a wise decision to consider changing your diet. If you have not already done so, be sure to consult a physician or dietitian before making any changes in your diet. This is especially true if you have been recently diagnosed. These people are experts who know all of the details involved in helping you meet your goals. Primarily, nothing works better than taking your medication, exercising and proper diet. Does this sound familiar? It should these are all things your have heard from your personal physician and dietitian. I can't help with the medication, however, if you follow some simple recipe guidelines you can still enjoy deliciously prepared foods that taste great. The ideal diabetic recipes will have the following nutritionalcharacteristics. That's the bad news. The good news is you can easily make these changes by making some simple adjustments to your recipes ingredients. It's just that simple. Now that doesn't sound too bad, does it? You only have to make slight ingredient changes and you can still eat all of your favorites such as desserts, chocolate cake, peanut butter cookies, ice cream, brownies, chicken, and more. This may seem difficult, but all you have to do is review the labels and look for food products with at least 25% fewer calories than the regular products your normally buy. Additionally, here is some other recipe ingredient substitutions. Sorry for making you wait, for the recipes. I just had to provide you with some useful diabetic education. I'm sure you'll agree that education is important. Now that you know how to make adjustments in your diabetic soul food recipes, here are some recipes for your enjoyment. A finally word of caution, always talk with your dietitian before adjusting your meal plan. Make for a healthy diabetic recipes. This oven-baked fish recipe is easy to prepare and delicious. Diabetic foods can be flavorful, this recipe is proof. Cookies are a diabetic recipe dessert favorite. 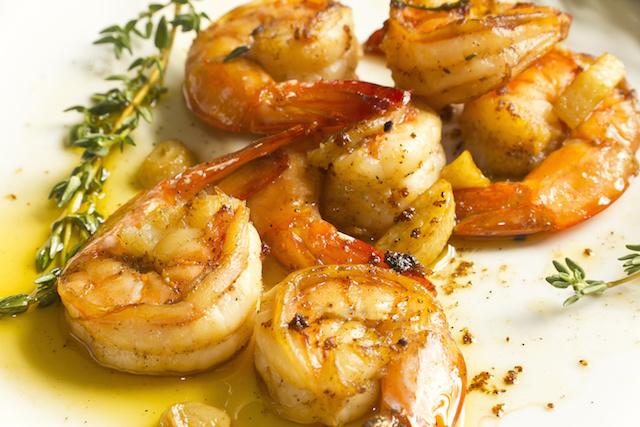 You can still enjoy you favorite seafood dishes. Don't be without this diabetic dessert favorite during the holidays.